Di’Ja is back with another hit for the year. 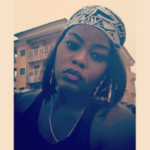 Lately, she has been off and on the music industry but she is on now again with a dope single she titled MR BOB. The song is a reggae/dancehall-influenced tune, singing about how she wants to share her feelings about the world today. Accompanying the song is the visuals which feature a cameo appearance from IBK Spaceshipboi. According to her, the record is dedicated to the legendary late Bob Marley. Next article Danny S – SHO BAADI NI?